British lawmakers on Monday used a vote on the government's next steps on Brexit to wrest control of the process so that they can then try to find a majority for an alternative that would break the parliamentary deadlock. 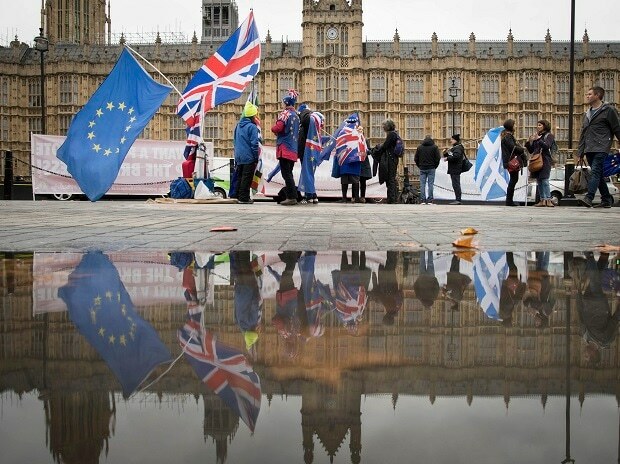 Lawmakers are voting on amendments to a government motion saying that parliament has considered a statement made by May on March 15 which set out the government's next steps on Brexit, including its plan to seek a delay. That March 15 statement also noted the government believes the best way forward is for Britain to leave the EU "in an orderly manner" with a deal, and that parliament had rejected leaving without an agreement. This has been proposed by a cross-party group of lawmakers, led by Oliver Letwin, a member of May's Conservative Party. It has been signed by more than 120 lawmakers. It seeks to change the rules of parliament on March 27 in order to provide time for lawmakers to debate and vote on alternative ways forward on Brexit, a process often referred to as 'indicative votes'. On Monday, May said parliament might vote for an outcome that was unnegotiable with the EU and she could not commit the government to delivering the outcome of any votes but would be "engaging constructively with this process." May also said she would be telling her Conservative lawmakers to vote against this amendment as she believed it would set "an unwelcome precedent". The Labour Party said it would be supporting the amendment.